This was my scrap Irish chain quilt. I let my mum have it. 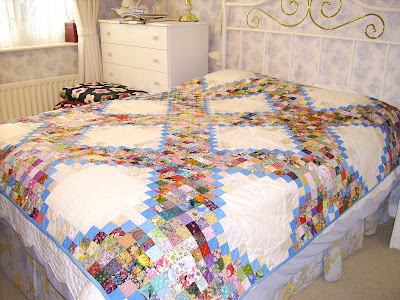 Friend, you are one amazing quilter!! Wonderful quilt.